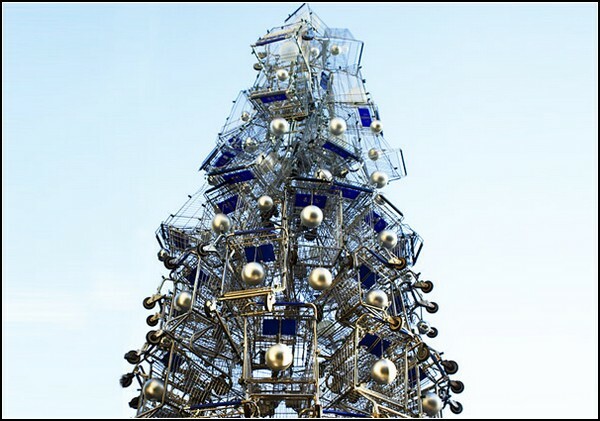 The perfect Christmas tree to the supermarket. We rarely pay attention to the truck and cart at the supermarket. For us this is something discreet accessory, not worth our interest.But in a shopping center in the California city of Santa Monica so do not think so. 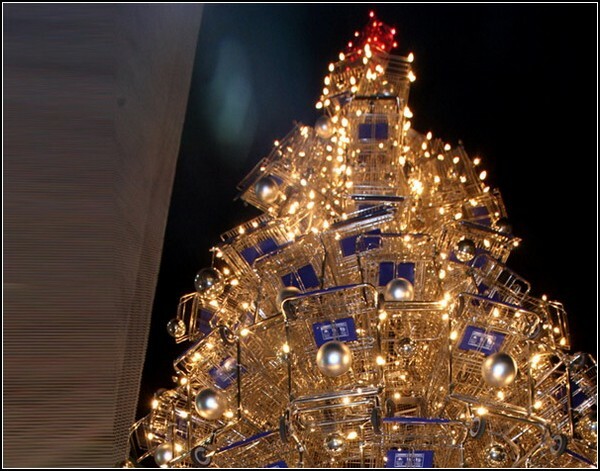 After all, they did a cart main symbol of the Christmas holidays this year. 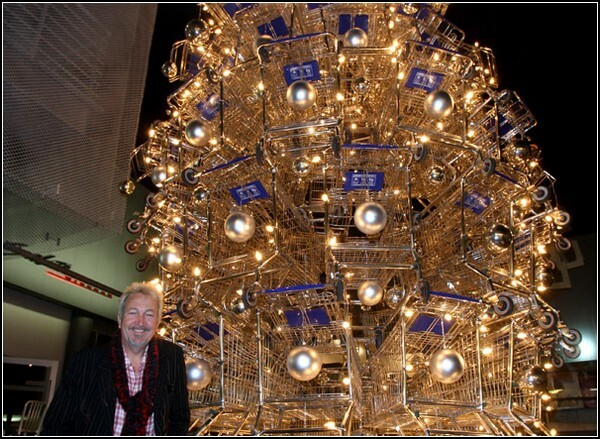 They even set up a proper Christmas tree - Shopping Cart Tree. 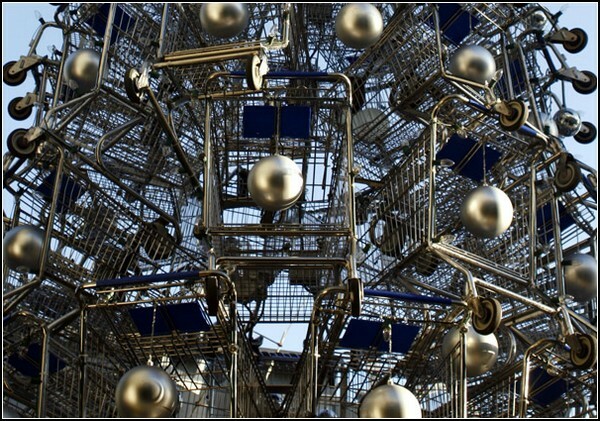 Carts and baskets play an important role in our lives. This is what helps us to cope with their purchases at supermarkets, are loyal to our assistants in this matter. And even the phrase "consumer basket" is a symbol of shopping, plenty. 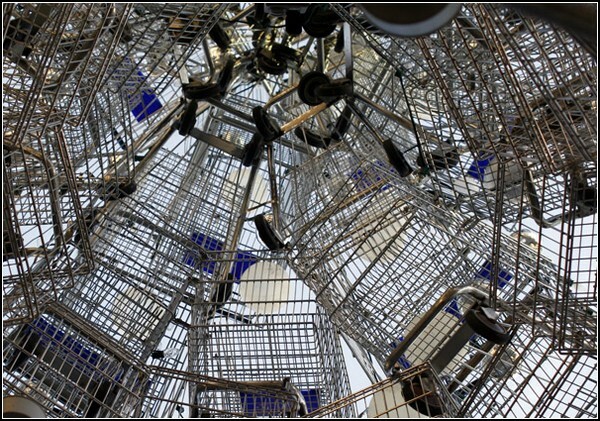 That's at the mall Edgemar mall in Santa Monica and decided to draw the attention of visitors to the huge role played by the shopping carts and baskets in our everyday life. Especially because Christmas and New Year on the nose, so it is very important. 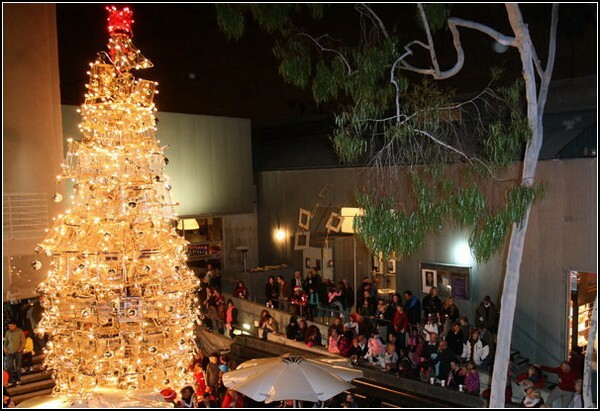 For administration of the mall, designers, Gary Frank (Frank Gehry) and Anthony Schmitt (Anthony Schmitt) have created a 10-foot Christmas tree, consisting of eighty-six (86!) Carts from the supermarket. 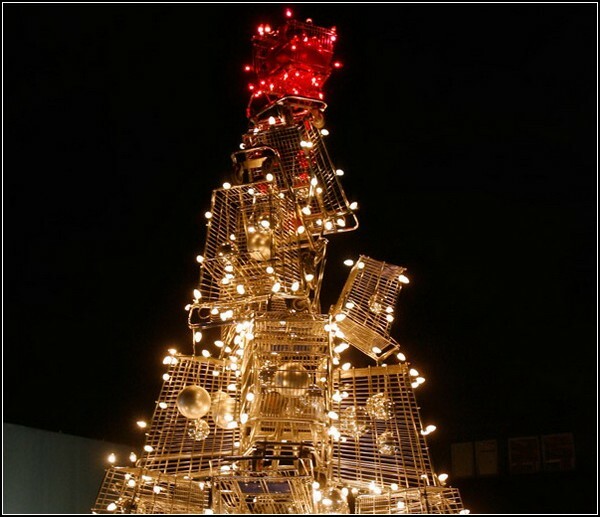 In their view, it is this unusual version of a Christmas tree in our time passes much more modern essence of the holiday than the traditional, coniferous tree. Indeed, for ordinary consumers, this period is the reason for the abundance of purchases that they would never do or permanently set aside for later. And for the stores - the most fertile from a business perspective at times of the year. So happy are the two sides, and a ten-tree of shopping carts stands proudly in the middle of the atrium Edgemar mall, calling for more and more people spend their money there. However, the tradition of Christmas trees to create something horrible was not invented by Frank and Anthony Gary Schmitt, and much much earlier before them.